June 2015 – The Malish Corporation, a global leader in the manufacturing of rotary/disc brushes for commercial floor cleaning machines & rotational molding services, announces their newly acquired membership with The Flooring Contractors Association (FCICA). Malish has been featured in FCICA’s electronic magazine, The Flooring Contractor. This quarterly electronic magazine features editorial and industry news for the commercial flooring contractor industry. Diamabrush™ By Malish floor restoration system is featured on the cover of the electronic magazine followed by a product spotlight found on page 13. 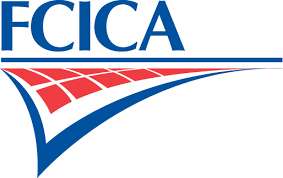 To view the electronic magazine, following this link www.fcica.com/press-room/the-flooring-contractor. Founded in 1948, The Malish Corporation specializes in the manufacturing of cylinder/rotary/disc brushes & accessories, food service and janitorial maintenance brushes, etc., and the Diamabrush™ By Malish Floor Preparation System. Headquartered in Willoughby, Ohio, Malish operates Manufacturing & Distribution facilities in North America, Asia and Europe. For more information, visit www.Malish.com. For more information on Diamabrush™ By Malish, visit The Malish Corporation booth at The Concrete Décor Show (Booth #413) or visit at www.DiamabrushByMalish.com.